Many youngsters love to play Games. The Gaming industry has evolved a lot in providing higher graphics games. Every year new games are coming into the market to win the gamers heart. 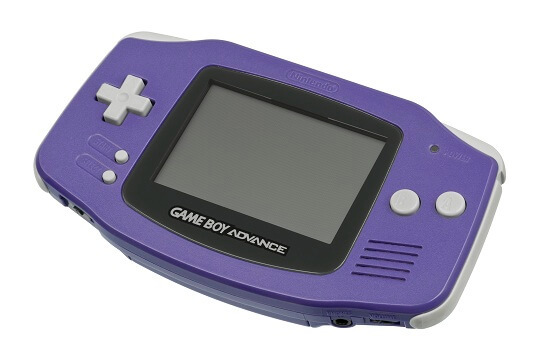 In the previous decades, Gameboy Advance (GBA) games are very popular. The compact consoles were used to play Nintendo games. If you're looking to play these games, you have to install a GBA emulator for Windows PC. You can find various emulators online but not all of them are working without lagging. You should have the best GBA emulator for PC in order to taste the Gameboy Advance games. In this post, you'll get the best GBA emulators for PC to play the Nintendo games smoothly. Here, I have picked 9 best GBA emulators which support the Windows operating system. These emulators are available for free of cost. If you're 90's kids, you'll love playing these games to recall your old memories. If you've not played any GBA games before, you should try at least once. GBE+ is also known as GBE Enhanced+ is an open source emulator for playing Gameboy Advance, Game Boy/Color and other Nintendo games. The main goal of manufacturing GBE+ (written in C++ and SDL by Shonumi) is to completely support GBA games. It should be able to run most of these games with less visible glitches. It is compatible with a lot of GBA Roms which you should take advantage of it. The frame rate and sounds are smooth and undistorted respectively. To download GBE+, click here. No$ (No Cash) is a proprietary emulator comes under a series in which some of the emulators are freeware/donationware. These emulators are developed by Martin Korth. Initially, it was started as a Gameboy Advance debugger. Later, it has emerged as a best GBA game emulator. They have two versions of the No$GBA emulator. One is for debugging the GBA games and other is gaming version. Here, we're going to see the features of gaming version. It supports GBA, Nintendo DS (Console) and Pockestation (memory card peripheral). It's the first emulator to support multiplayer games. Able to run the emulator not only on Windows but also on DOS. To download No$GBA, click here. mGBA is an open source Gameboy Advance emulator which was developed by Endrift. The main aim of developing this emulator is to give the best possible accuracy, speed, and portability. It has the latest version emulator that plays all GBA games effectively. It provides 99% glitch-free gaming experience. A stable version is available to download. It supports NES classic series (.nes games). Compatible with tile sensor games. Example: Warioware game. You can fast forward and rewind the games. It supports for IPS, UPS, and BPS/beat patching at runtime, including ROMs in compressed files. You can pause and save the states of the games. Multiplayer support (up to 4 players). To download mGBA, click here. Higan emulator is originally called as bsnes. It was developed by a programmer named byuu. Higan GBA emulator was developed for the purpose of emulating original hardware with high accuracy, speed, and smooth play. It is the first Gameboy Advance emulator to have well known featured SPC7110 emulation. Also, it's the best emulator to achieve cycle-based emulation. It supports GBA, GBC, NES & SNES games. The forked version of Higan supports Nintendo DS and XBAND. You can play games in full-screen. It's a portable application where the installation is not necessary. It provides flexibility in adding filters, adjusting synchronization and aspect ratio. Higan was released in both 32-bit and 64-bit versions. To download Higan GBA, click here. Visual Boy Advance is shortly called as VBA. It was developed by 'Forgotten'. When he left his project, it was hand over to a VBA team led by Forgotten's brother. This VBA emulator supports all types of GBA games even in older Windows PC. This application requires less MB for installation. This emulator may crash on a newer version of Windows PC. Available for a variety of operating systems including Linux, BSD, Mac OS X, and BeOS. It is compatible with Gameboy color, Gameboy Advance Roms. You can save the full state of games. It supports the import/export feature of native saved games from one to another PC. You can play games with Joystick. You can take screenshots of the game inside this emulator. To download VBA, click here. BatGBA emulator is a simple open source emulator to play advanced Gameboy games. It's not a batman emulator. It's just a name given to this application. The file size is less than 1MB. It has better compatibility to play most GBA games. You can take snapshots of games to a clipboard. It supports faster rendering in after effects. Timings are more accurate than other emulators. It requires a faster GPU. To download BatGBA, click here. Go to Downloads to grab your emulator. RascalBoy GBA Emulator is similar to VBA emulator which requires less than 1MB space. It will work on both the old and newer version of Windows PC. The name of this emulator is quite funny. It's a cool application to run most of the GBA Roms with less to zero glitches in frame rate. It supports multi-language. (So, grab this software available in your language). Multi-Player support (up to 4 players to connect to the same PC). Multi-Player plugin needs to be downloaded additionally along with this emulator. It works best on fast PC. You can apply cheat codes to hack the supported games. To download RascalBoy, click here. BoycottAdvance emulator is one of the best emulators to support commercial Nintendo games. Many Roms are supported to play in this emulator. It does have some issues with playing classic Gameboy games. You can play games at full speed in MAC OS. The CPU emulation is highly optimized. It supports scaling and rotation of games while playing. You can plugin Joysticks and Gamepads for enhancing the gaming environment. Easy to open recently closed games. To download BoycottAdvance, click here. If you'd like to play only the classic Gameboy games, you should try KiGB emulator. It's a Gameboy color emulator which sets the best standard for emulator compatibility. It provides accuracy in timing, graphics, and sound. It supports Gameboy Camera and multi-carts. You can save levels in games. Up to 4 players can play at the same time. (Connect multiple gamepads to the same PC). You can adjust the emulation speed. To download KiGB, click here. Some of the above-mentioned emulators are released for Windows, Linux and MAC OS. Download the required Roms to play games on these best emulators. You can get the Roms for your favorite games by surfing a simple search online. I hope this helps. Play Gameboy Advance games and Enjoy!